Phil Taylor celebrates winning a match in the tournament. Credit @pinterest,com. Last weekend, the Champions League of darts made its debut in the darting calendar. 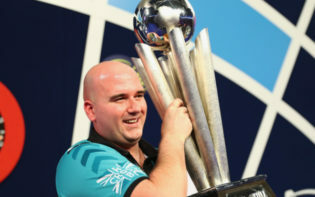 The tournament, competed between the top eight ranked darts players in the world, culminated in a final contested between top seed Michael Van Gerwen and Englishman Phil Taylor. Taylor, the number four seed, triumphed in the final, seeming to play at his peak ability as he won 11-5. Sixteen-time World Champion Taylor may now be able to use this victory, his first televised tournament win of the year, as motivation ahead of the upcoming World Grand Prix in October. If he plays at a similar standard, which he seemed to during the Champions League, he may be able to win his twelfth Grand Prix title, perhaps emphasising the suggestion he may be the greatest in history. The tournament began with a round-robin group stage format, with the eight players split into two groups of four. At the end of the group stages, the two highest placed players in each group advanced to the semi-final, and ultimately then to the final. Pre-tournament, Van Gerwen seemed to be the favourite; the Dutchman has won over £1.3 million in prize money this year alone, and earlier in 2016 he won a consecutive World Matchplay title. In the opening matches of Group B, the higher seeds in the group, Van Gerwen and Taylor, seemed to be in form, winning their opening ties 10-5. In the matchup between the two, Taylor emerged victorious 10-4, leaving Van Gerwen needing a win in his final group match versus Peter Wright. The Dutchman seemed to find his form in the final game, advancing to the semi-finals after a 10-5 victory. In the semi-finals, Van Gerwen seemed to find another gear, seeing off Group A winner, and second seed, Gary Anderson 11-5. 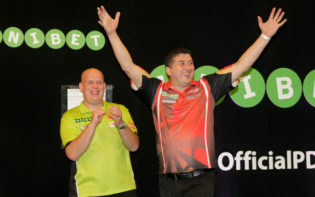 Anderson may have gone into the semi-final as the favourite, as he has won consecutive world championships in 2015 and 2016 respectively; Van Gerwen seemed to relish the rare occurrence of being deemed the underdog, and emerged victorious 11-5. 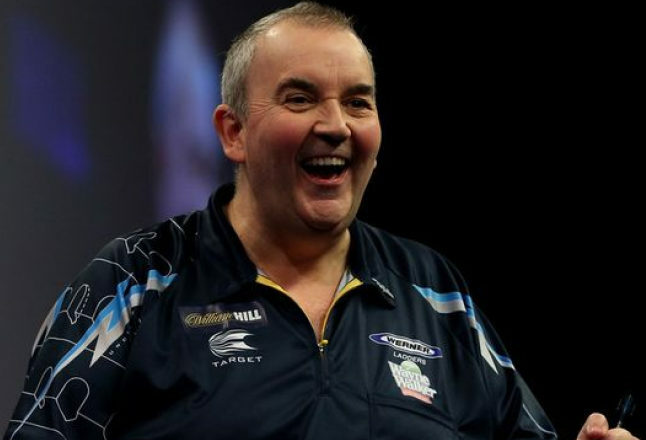 In the other semi-final, Taylor seemed to comfortably dispatch James Wade, winning 11-3, meaning he headed into the final unbeaten, and perhaps as the favourite. The final was therefore a rematch of the earlier group game, and, similarly to the aforementioned match, Taylor seemed to take the initiative early on, winning legs on Van Gerwen’s throw to head into a 4-1 lead. 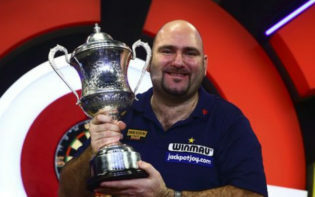 After an 11-darter from the Dutchman, the score was pulled back to 6-3, yet Taylor seemed to regain the momentum, landing seven of the nine darts necessary for a nine-dart checkout in the tenth leg, before pulling six legs clear and taking the trophy. Taylor winning his first televised tournament of 2016 may motivate him to win further titles, and also may reiterate that he is the greatest in history. 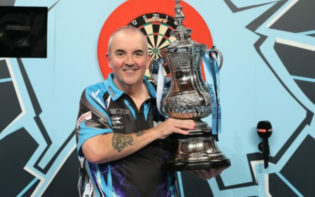 The stats may seem to suggest this; Taylor has won 16 World Championships, 11 World Grand Prix’s, four European Championships and six Premier League titles, along with over 50 non-televised tournament wins; he has also achieved a record 19 nine-dart legs. The ability, which seemed to be instrumental in him winning this record amount of titles seemed to be replicated in the Champions League, and by achieving victory in a tournament contested between the highest ranked players in the world, it may suggest Taylor is able to maintain his form versus multiple top opponents. The players who competed in this maiden tournament may be able to utilise this experience in a productive way; with the World Grand Prix approaching, the tournament may be useful for experience and practice. For Taylor, he may have proved to himself he is still able to compete at the highest level versus younger competitors, whilst the other players may understand since the world number one was runner-up in the tournament, it may suggest any player may gain the title in any tournament. Additionally, since the tournament was the first broadcast on BBC this year, it may have enabled a larger viewing audience, and may have contributed to motivating young players to get involved in the game, and aspire to compete amongst the best in the world. Which player may win the World Grand Prix in October?